I know its Spring when my tulips are up & blooming. I walked around the house and noticed the daffodils that seem to only be open in a moments notice. 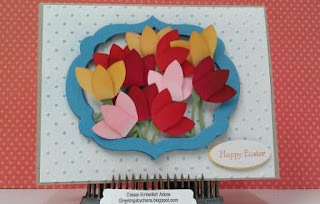 With the warm weather at the moment, I hope they stick around alittle longer but in the meantime, its also tulips time! As you are aware, I am alittle bit of a flower gal. Though more on paper than in my yard. Not because I cannot grow them, only because I want them to be more "hardy" then they are. I picked colors that I do have in my garden to put this frame of tulips together. 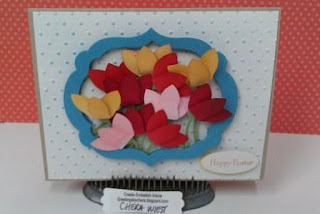 I love the different reds, which I used, Real Red and Poppy Parade, mixed it in with Daffodil Delight and Pink Pirouette. They all have Wild Wasabi stems. 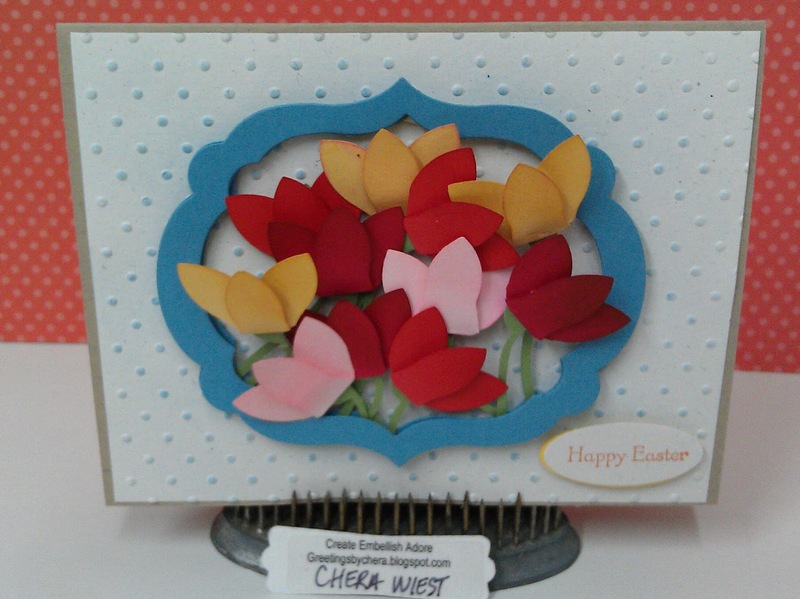 I used the 5 petal punch and cut off two petals, folding the single petal up towards the other two. Its very simple, just punch one and take a look! Using the new framelits I made two and used dimensions then put my tulips in between them. I love the look! I love my tulips! 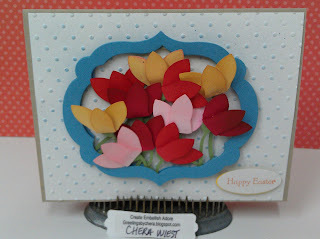 beautiful job with the tulips, I love how you framed them! Beautiful card, wow that's a BUNCH of tulips!!! Love the colors.